Hello again golfers and a very warm welcome to our latest issue, unfortunately it's been another wet week here as Storm Imogen passed through with more wind and rain - at this rate we'll soon be through all the letters of the alphabet! Thankfully though at the time of writing this newsletter the sunshine is out, let's hope it continues to make more regular appearances as we get nearer to spring time. Here's another interesting fact to start this week - do you know the longest course ever played by a golfer? In the 1960s, a golfer began at the Pacific Ocean and kept hitting golf balls until he reached the Atlantic Ocean, 3,400 miles away. During the trip, he made 114,737 strokes, now that's a really bad round! Many of our brave members turned up on Saturday morning to play our February Medal but the weather was not good to say the least, more incessant rain meant that although we started the competition it had to be abandoned after just a few holes, well done to the members who did try to play though! After the rain of Saturday our greenkeepers Andy and Alan did a valiant job to get the golf course in great condition for our match on Sunday in the first round of the Mail on Sunday Classic against Vale Royal Abbey, unfortunately we lost out to some strong opponents by the score of 3.5 to 1.5. James Eaton won his match and Antony Green got a half but Gareth Eaton, Dave Johnson and Captain Liam Tyrer lost out in their matches - there's always next year! Here's head greenkeeper Andy hand mowing the tenth competition tee before the match. We were very excited to take delivery of the new Callaway XR16 drivers last week and we couldn't wait for some golfers to try them out so we could see how they performed, and first impressions are very good! Trevor's ball speed when hitting the new XR16 driver increased by a remarkable 15mph and the obvious benefit of increased ball speed is more distance! Trevor's swing speed also improved with the new driver from 80mph to 81.7mph because of it's more aerodynamic shape and the lighter and more flexible shaft but without changing his swing in any way Trevor's ball speed increased massively because of the new technology in the XR16 driver. With the extra ball speed Trevor found an average of an extra 17 yards on his drives and he was most pleased! This wasn't a one off either, we've fitted three golfers for the new XR16 driver and all have found an increase of at least 5mph in ball speed. 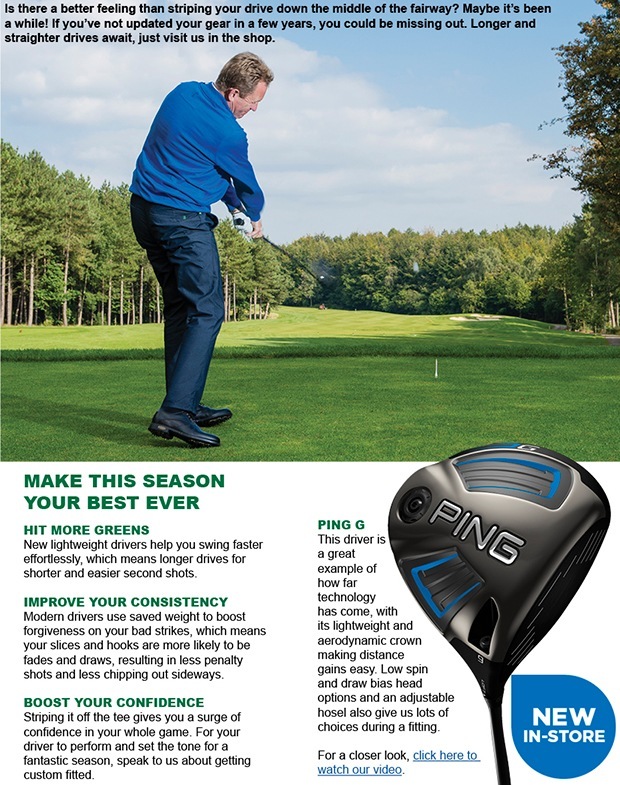 Have a look at this video to see why the technology behind the driver works so well. Night Golf news Don't forget that we have the return of an old favourite here in the form of a night golf event on Friday 4th March, anyone that has tried this will tell you that it's great fun - all you can hear in the dark is lots of laughter on every hole and it really is a great social occasion. If you've not tried night golf before you really should give it a go. Have a look at the attached poster for more details. The event is strictly limited to 40 golfers and it's filling up fast so get your teams booked in now! If you have a favourite golf quote or saying please let me know. We have two fitting days coming up soon, the PING day is on Tuesday 16th February from 2-6pm, we're now FULLY booked for custom fittings but you can still come down on the night and try clubs out if you want, all the new G range of clubs will be available to try. 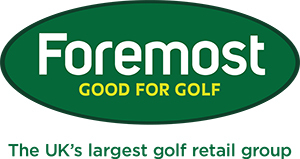 Then on Tuesday 23rd February we have a Callaway fitting day from 2-6pm, again we are taking bookings for FREE custom fitting slots on the new Callaway 2016 range of clubs, we still have the following slots available 4pm, 5pm and 5.30pm if you would like to book one of these last slots please contact me here. When the revolutionary TaylorMade M1 driver came out last year it created quite a buzz in the golf world and with good reason, now we have the new TaylorMade M2 demo drivers and irons in stock in our fitting studio - these clubs have been brought in to replace last year's Aeroburner models, but rather than bore you all with more technical speak have a look at this video of USPGA champion Jason Day introducing the new irons and explaining why they're so good! Look out next week for a full review of the new TaylorMade M2 driver and irons and we'll explain a bit more about them. If you would like to book a fitting on these clubs or any of the other new ranges please contact me. Also new to arrive last week were the new Titleist 2016 range of balls including new NXT Tour balls, a new Velocity ball and the new ultra-low compression Tru-Soft balls. 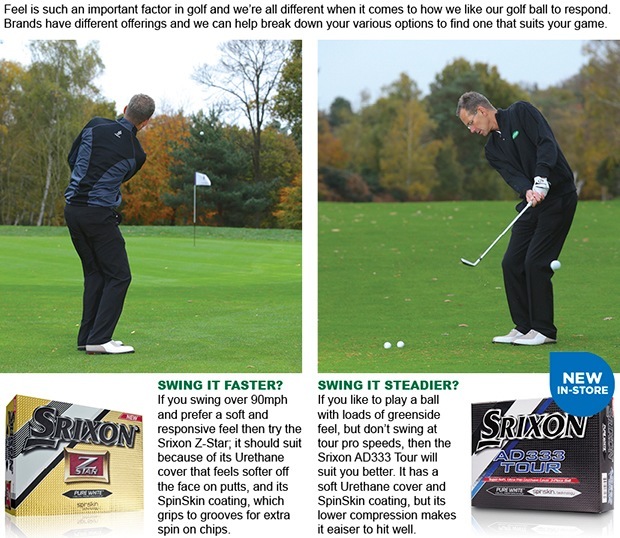 Did you know at this time of the year when the air is that bit colder a lower compression ball has been shown to travel better through the cold air, so if you feel like you're losing distance at this time of year maybe you should try these Tru-Soft balls, we have a great multi-buy offer on where 1 dozen costs £17.99 but 2 dozen balls are yours for the princely sum of £32. Next Thursday the ladies are playing a nine hole yellow ball team competition followed by a hot pot lunch and quiz, all proceeds are going to the Lady Captain's Charity. It's good to see that there are already 25 ladies entered - let's hope for some good weather! Also entries are now being taken for the Ladies Spring Singles knockout competition, so far there are 18 ladies who have entered and you have until 31st March when the draw will be made to get your names down so it would be good to see plenty of ladies participating in this competition. The seniors were lucky with the weather on Tuesday morning as the sun made a rare appearance, they played a Las Vegas Scramble which is a variation on the Texas Scramble format - all players tee off but rather than pick the best shot a dice is rolled and the number on the dice represents which shot must be used. The winning team were Pete Wildin, Brian Whitworth and Paul Green with 24.66 points.